As a camper and coach, John Valente demonstrated tremendous passion for baseball. Subsequently, John earned a starting spot at nationally ranked St. John's University as an infielder where he was selected as Big East Conference Player of the Year in 2018 and selected in MLB Draft by the Detroit Tigers. Having attended Rising Star Baseball Camp in middle school, Louis Micelli played at New Rochelle HS where he was MVP of the county as a senior. With a power hitting frame, Louis moved on to play infield at SUNY Brockport. While playing outfield for Iona Prep, Nate attracted the attention of many scouts. In 2015, he began playing for national powerhouse Mt. Olive College. As a talented hitter, Raj drove the gaps on the AAA Field at Rising Star before starring on the Scarsdale HS Varsity Team. In his freshman season at Middlebury College in 2015, Raj batted over .300. Having spent numerous weeks at Rising Star as an 11-13 year old player, Peter developed into an exemplary hitter. As a star at Mamaroneck HS, Peter helped the team win the NY State Championship in 2015 and was selected as 1st Team NY State in 2016. Peter continued his career as an impact player for the University of Pennsylvania in 2017. As a five tool player at Rising Star, Matt starred at New Rochelle HS before earning a scholarship to Pace University where he was selected All-Conference as a freshman. Starting at the camp as a 10 year old player, Rory developed into a fleet-footed outfielder and contact hitter. 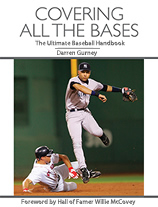 These skills helped Rory play a starting role in the outfield for Bard College. Geoff McDermott was a camper during summers 2000-2001. He led the 2005 NRHS football and basketball teams to NY State title games. Geoff attended Providence College and now plays professional basketball in Holland (European League). Tom Koehler was a camper during summers 1999-2000 and coached at the camp during 2004-2005. With a fastball that is clocked consistently in the mid-90's, Tom was drafted in 2008 by the Miami Marlins and currently is a pitcher for the Los Angeles Dodgers. Brett Rosen was a camper during 2002-2007 and attended a remarkable 30 consecutive camp weeks. After starring as the starting catcher at NRHS for three years, Brett played baseball at Muhlenberg College and is currently a professional catcher for Canterbury Vikings in Australia. Paul Bruzzese was a camper during summers 1999-2001. Paul went on to play four years of varsity baseball at New Rochelle HS where he amassed tremendous production and was selected as First Team All-American. Claude Balliet was a camper during summers 1999-2001. Claude was an outstanding catcher at NRHS and is now an assistant coach at the school. Claude has been working at the camp as a coach since 2005. During the summer and fall, Claude coaches for Team Crush and the Westchester Cardinals. Vernon Martin was a camper dring summers 2003-2008. He started at second base at New Rochelle HS where he hit one of the most dramatic home runs in school history in the 2010 playoffs. Vernon currently played for four years on the Penn State University Baseball Club and coaches at the camp. Eric Fama was a camper during summers 1999-2000. Eric graduated from Rhode Island College where he received a degree in Physical Education. Eric has been invited to a number of workouts with professional organizations (e.g., Kansas City Royals, L.A. Dodgers). Adam Matos was a camper during 1999-2000. As a three year starter at New Rochelle HS, Adam earned All-League recognition and won the prestigious Diamond Nine Award as senior in 2004. Adam attended University of Pennsylvania's Wharton School of Business and is now an executive at I-Star Financial. Jason Matos was a camper during 1999-2000. As a three year starter at New Rochelle HS, Jason earned the Diamond Nine HM Award as senior in 2004. Jason, who is a doctor in the Boston area, attended Columbia University. Nick Albero attended the camp during summers 2003-2004. After starring as a pitcher and middle infielder in Section I, Nick led Dowling College to the D-II College World Series with a 5-1 record and E.R.A. below 1.00. Matt LaPadula was a camper during 1999-2000. As a senior at NRHS he batted .313 with a .455 On Base Pct. in 2004. Matt won the Diamond Nine HM Award in Section I and now is an assistant varsity baseball coach at Ossining HS. After spending several summers as a camper at Rising Star Baseball Camp, Andrew went on to start at NRHS for four seasons on the varsity baseball team. Andrew played on the Long Island Titans and at nationally ranked Franklin Pierce University. Having attended Rising Star Baseball Camp for five consecutive summers, Andrew went on to star at New Rochelle HS. Andrew received an offer to play NCAA baseball at nationally ranked Johns Hopkins University where he played until 2016. Currently, Andrew works at the Federal Reserve Bank of New York. Having attended Rising Star Baseball Camp from 2004-2010, Daniel mastered the catching position where he set the camp record for catcher pop time. Subsequently, he starred at New Rochelle HS before moving on to catcher and captain at Skidmore College. Since 2018, Dan has been working as a baseball analytics specialist for the Houston Astros. Jayson Gray attended the camp from 2005-2010 where he set numerous records for running speed, including a remarkable 6.74 second 60 yard dash. Jayson received a baseball scholarship and currently plays at Dominican College. After a stellar career at Iona Prep, Ryan Doty signed a scholarship to be a starting pitcher at Villanova University. Remarkably, Doty earned a starting spot in the rotation as a freshman. As a camper entering at age 9,"Jo-Jo" developed each passing year that he attended the camp. By high school, Jo-Jo was regarded as one of the top pitchers/players in Westchester County earning a scholarship to LeMoyne College. Jojo was signed by the Chatham Anglers of the Cape Cod League in 2017 where he threw a pitch clocked at 97 MPH.In 2018, Gray was 1st Team All-American and selected by the Cincinnati Reds in the 2nd Round of the MLB Draft. Gifted with a live arm, Tyler was a star for years at Rising Star camp before playing at Harrison HS. Tyler moved on to pitch at the University of Rochester in 2015. As a former camper and current camp coach, Carmine possesses a tremendous work ethic. After starring at New Rochelle HS, Carmine now plays middle infield at nationally ranked Franklin Pierce College in New Hampshire. After attending the Rising Star Baseball Camp in middle school, Louis went on to star at New Rochelle HS where he was runner-up Westchester County Player of the Year. Louis plays NCAA baseball at SUNY Brockport. During his time at Rising Star Baseball Camp, Chris set the catcher pop time record on the AA Field with a time of 1.91 seconds. He went on to have a dominant career at Iona Prep before receiving a scholarship to play catcher for nationally ranked Duke University. As a veteran, multi-week camper Matt went on to play catcher at New Rochelle HS. After graduation, Matt moved on to play catcher for Manhattanville College in Purchase, NY.